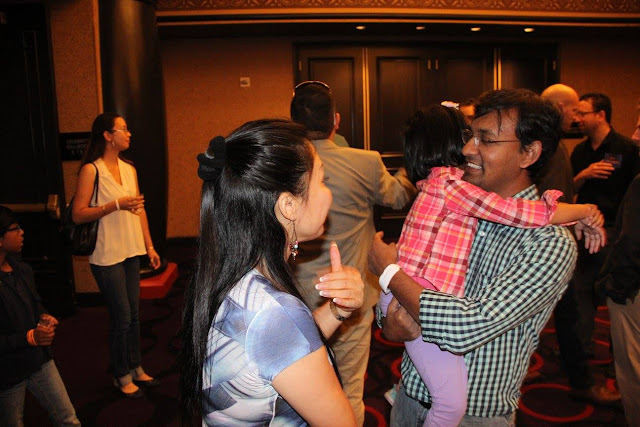 This year again I went with my family to Planet Hollywood, Las Vegas to play Millionaire Chess Open 2015 tournament popularly tagged as #MC2. Due to my and Shusmita's office, we took the evening flight at 7th October to fly from San Francisco to Las Vegas and missed by a slight margin the pool party of Millionaire Chess that night. And we just came back last night 12th October while keeping our heart, eyes and ears on Millionaire Monday throughout our flight. It was yet another grand chess vacation for us. Personally my playing strength has been going down last many months due to my focus on job change and I knew I wont play well. 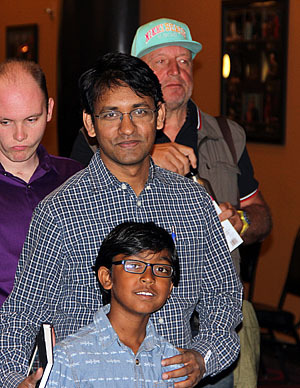 My son Ahyan also didn't get too much of breathing space in the Under 1600 section although he came very close to Millionaire Monday in the Under 1200 class prize by half a point. Approximately 570 players from 52 countries gathered in the large Planet Hollywood Casino at Las Vegas this year - 50 of them are Grand Masters. I still have to know if this is a record for open tournaments, but if not - its definitely at the high side. There were several new things introduced by MC team in this year's tournament. Pool party is the first and then the next was the ETMS (electronic tournament management system) where each player were given a wrist band that would identify him/her, show their pairing and also allow reporting results in kiosks similar to airport ticketing kiosks. It was developed by Dave Kriewall and was fantastic as much as I saw. Yes, from second rounds it didn't work well for under sections and hence tournament organizers had to revert back to backup plan of pen and paper again, but its very promising. Then there was Confessional booth where players can go during a game and talk to camera that is constantly video recording. My son Ahyan went there once every round he played (7) and I myself went there 3 times. It was nice to see the commentators GM Robert Hess, IM (and WGM) Tania Sachdev and IM Laurent Trent responding to my query on Pawn Sacrifice movie in the live broadcast. Also I saw lot more large photographs this time, adding not only the world chess champions but also all women chess champions in the tournament hall. And then there was Millionaire Square Prize which eventually was not captured by anyone. There was a paring mistake by the backoffice (computer guys picked a wrong file) in the first round pairing and lots of people got a forfiet point. But center of the discussion was the 7th round controversial draw between Nakamura and McShane. Watching Nakamura, Caruana, Kamsky, Wesley So and all other top GMs so cloesely on how they falter at times made me feel we all are humans. Nakamura finally won the open section of the tournament with a large 100 thousand dollars check. 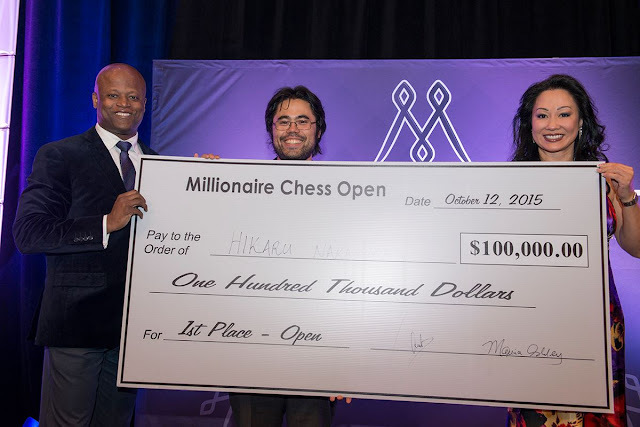 So despite so many grandmasters playing in the tournament in the both the editions both MC1 and MC2 winners were Americans - Wesley So (born in Phillipines) and Hikaru Nakamura (born in Japan) who represent USCF (United States Chess Federation). But the biggest thing for us was Ahyan's coach Ted Castro getting into the Millionaire Monday at Under 2200 section. He eventually became runner up and won 19 thousand dollars! Congratulations Coach Ted, we are proud of you! I collected 23 autographs of chess celebrities, grand masters and renowned chess personalities. That itself is a nice collection for me now that I will enrich adding more to this in future. 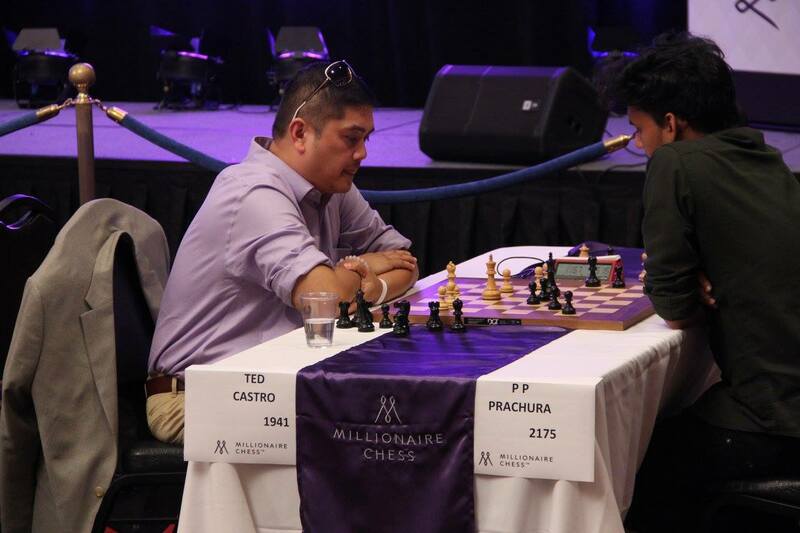 Millionaire Monday we were heavily involved following Coach Ted Castro's semi final and final games and arrangement to fly back to SFO. So we could not do much for Ahyan's birthday that day when he turned 9. But we took him to his favorite Urban Turban, our new discovery, an Indian Restaurant near Las Vegas strip where we became a frequent visitor this trip. I also took him to On Top of The World of Stratosphere. 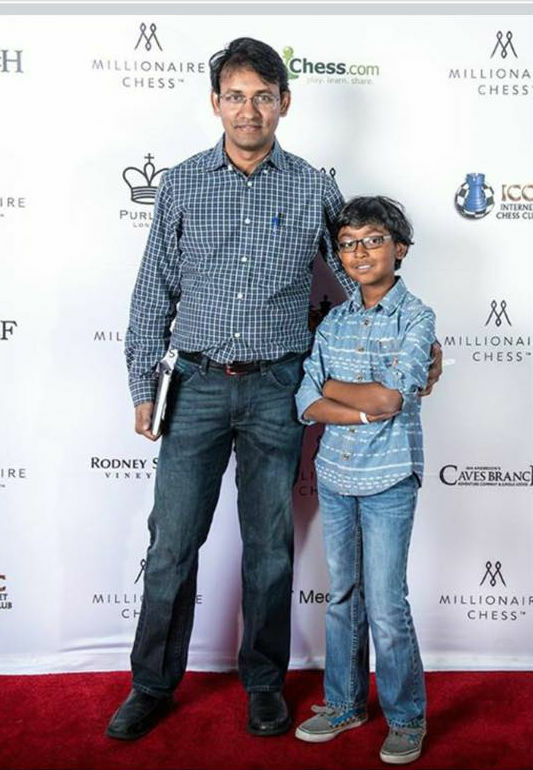 Chess journalist and my good friend Daaim Shabaz took a half an hour audio interview of me on MC2 that same day. 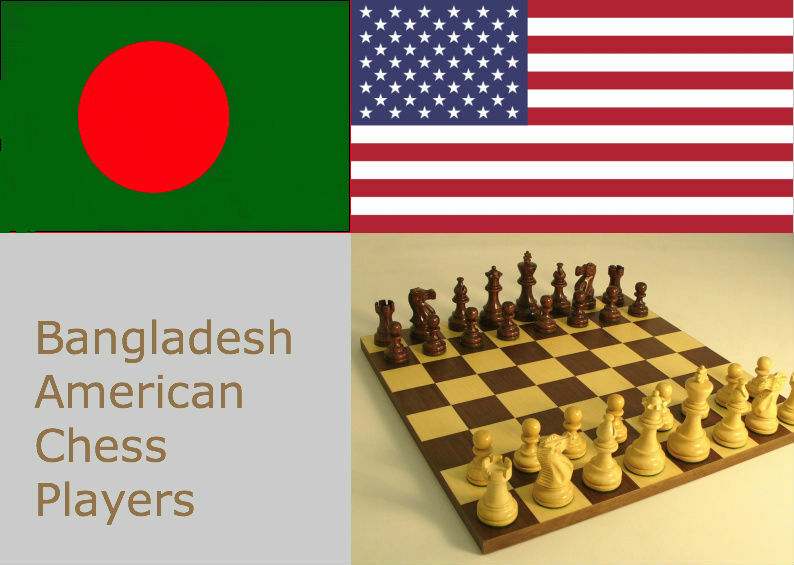 Ashik Uzzaman (Fremont, California) – From Bangladesh by origin and software engineer by training, Uzzaman is probably the most ardent supporters of the Millionaire Chess franchise. He has been an active supporter through his videos and through his various posts in response to MC “haters”. Ashik Uzzaman with son, Ahyan. Uzzaman, whose son is also competing, mentioned some of the things he thought makes the MC idea so unique such as the “Millionaire Square” game show. He also spoke at length about sponsorship potential of MC. Uzzaman works in Silicon Valley and believes that there is great potential to marry chess with the empires of the technology catalysts. There was an agreement on the fact that a complementary team of volunteers to help take the load off of the principle founders. 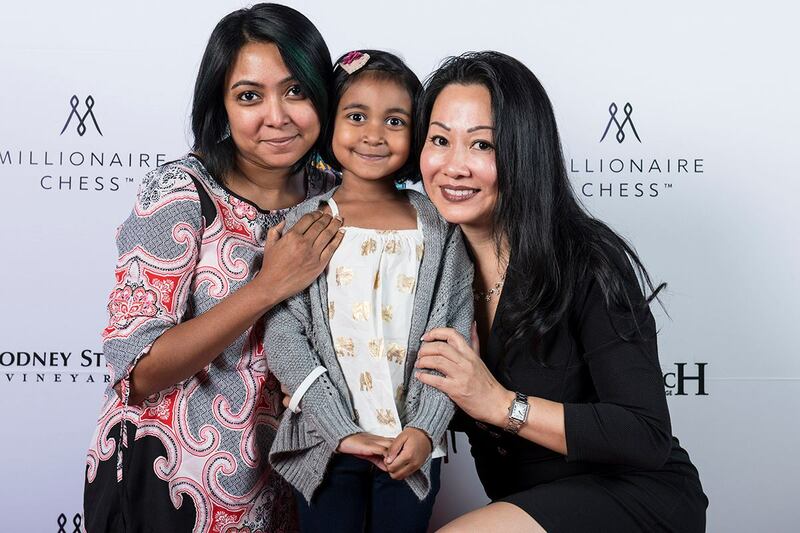 It is obvious that there are a lot of talented people in chess who are at the highest level of their professions.